Have you ever wondered why your HiFi rig sounds better in the early mornings and later evenings? One obvious reason is the lower noise due to the less busy electrical grid in your city. Additionally, there are micro-vibrations from people bustling around, the cars driving on the freeways, your neighbor mowing his lawn a block away, and other daytime activities. The combination of all these tiny undesirable resonances will aggregate and permeate into your home, flooring, and audio system. This results in a modulation of the electrical signals passing through our components and thus hinders the overall sound quality in the system. 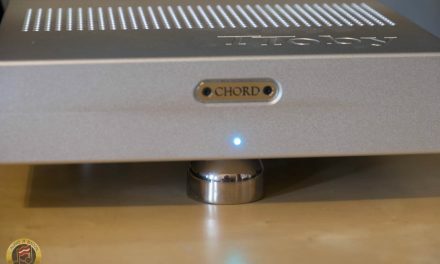 It’ll affect the crossover network of your passive monitors and the amps in your active speakers. It’ll cause some source components to work harder which may possibly generate unwanted electrical fields in the wires and power supplies, which in turn generates noise and jitter. Most would agree having proper vibration control in place is imperative for any HiFi system. Those with vinyl record/CD players quickly realize how insidious this mechanical vibration could be. Many digital source devices have crystal oscillators which are also heavily affected by these resonances. It’s no surprise why there are so many variations of isolation pads, racks, stands, platforms, etc being sold at every audio shop. For years, I didn’t pay much attention to vibration control in my headphone/digital playback system. Although various forms of isolation did improve sound quality, especially placed under amps and power conditioners, it didn’t make a big enough difference for me to spend close to $1,000 for ONE set of Stillpoints. This changed when I began testing 2-channel equipment, especially with the incorporation of subwoofers. The deepOmega8 was capable of rattling windows, cables, and the desk my monitors were sitting on. It’s evident the resonances are affecting performance and I wanted an affordable yet effective solution. I’ve heard great things about the Gingko Balls in the past and when I spoke to Gingko Audio, they told me they’ve developed a successor. Gingko’s new vibration control product is called the ARCH. Like most vibration isolation devices, accelerometers are used to measure the effectiveness of the designs by taking measurements at the floor and devices. Gingko claims these ARCHs lower the resonance even beyond the performance of their Gingko Balls. 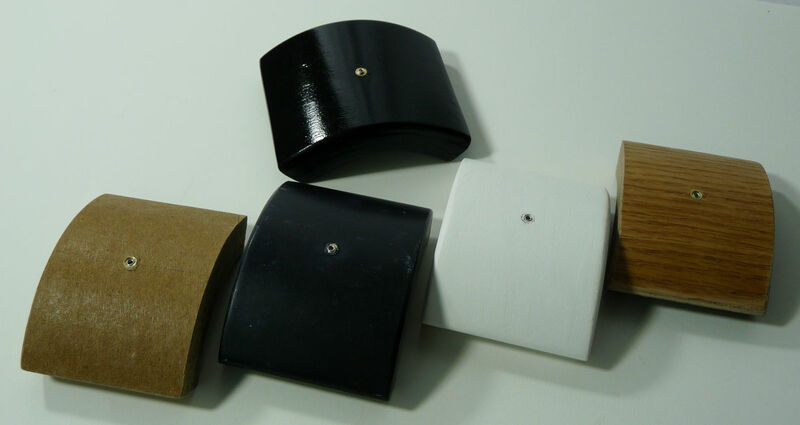 These patent-pending Acoustic Resolution Clarifier enHancer (ARCH) isolators are constructed from a seemly stiff, layered, cardboard-like material. 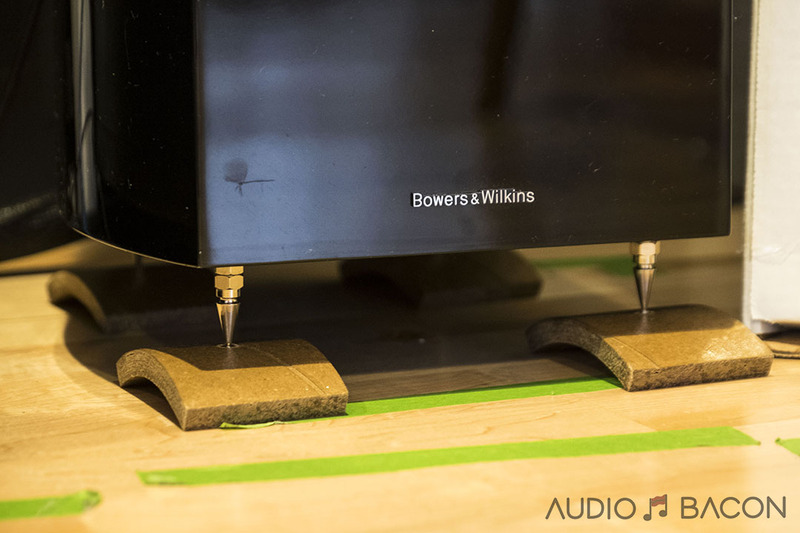 The ARCH™ is constructed from a lossy material that dissipates vibration across the audio frequency spectrum. 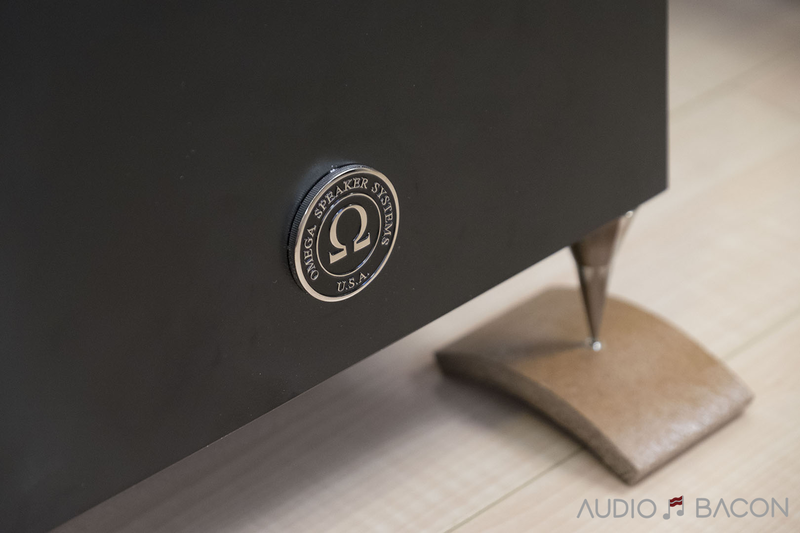 The material is seal-coated with shellac to make it resistant to moisture and strengthen its rigidity under heavy speakers and audio components. It provides a stable and sturdy base for the speaker cabinet and the drivers mounted on the cabinet thus resulting in a clearer and more transparent sound. Like the Gingko Balls, these ARCHs also have a very…novel appearance. There are an assortment of different ARCHs depending on the weight of the components and the amount of isolation required. Gingko also has a very compelling white paper on the ARCHs. The ARCH 1 set (retail $199) consists of 8 individual bases, each with a weight bearing limit of 30 lbs. 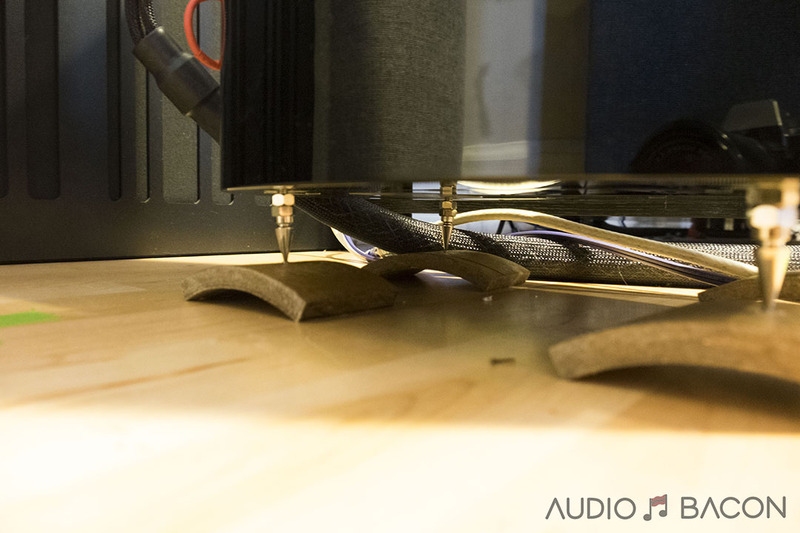 Four ARCH 1 bases can support a speaker weighing a maximum of 120 lbs. For speakers weighing between 120 lbs. and 240 lbs. each, the ARCH 2 (retail $199) can be put under an ARCH 1 base to hold up to 60 lbs. Each ARCH 2 base can also hold up to 30 lbs. For speakers weighing more than 240 lbs., we offer the ARCH 3 (retail $399 a set). 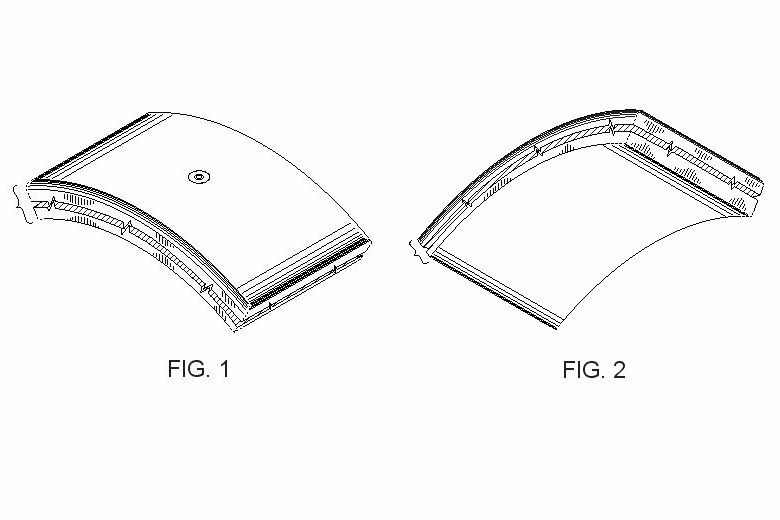 Each ARCH 3 base can hold up to 100 lbs. The Lite-ARCH (retail $169 a set) is for speakers and amplifiers weighing up to 80 lbs. Each Lite-ARCH base can support a maximum load of 20 lbs. 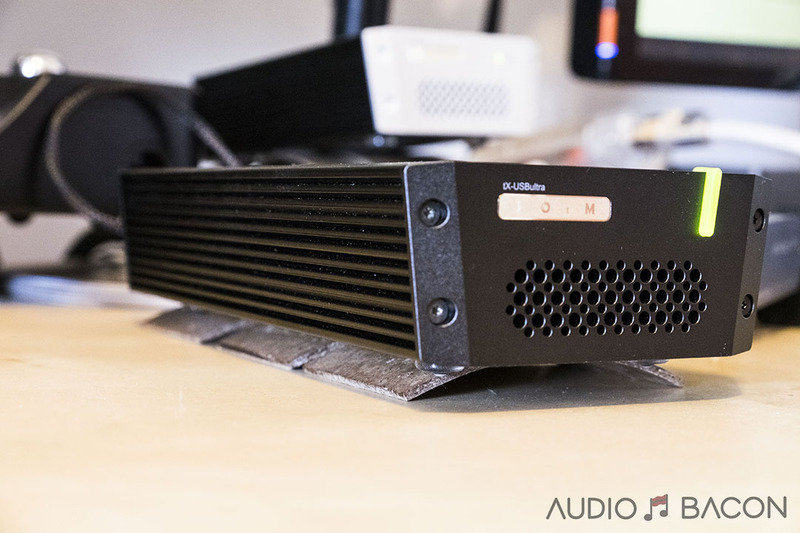 The Mini-ARCH (retail $99 a set) is designed for light audio components such as preamps, digital sources, and turntables weighing up to 40 lbs. Each Mini-ARCH can support a maximum load of 10 lbs. The ARCH™’s design is a curved shape with two ends that rest on the floor at an angle, thus minimizing transferred energy from the cabinet to the ground. In addition, the ARCH™ flexes under the weight of the speaker as the latter vibrates, further reducing the transferred energy. At first blush, I dismissed these very lightweight and unpretentious looking isolators. I’ve heard meaningful differences with the Stillpoints but they were much heftier than the ARCHs so I figured I could wait. Regrettably, these ARCHs were sitting in a box for a few weeks. After getting my system to a satisfactory point, I wanted to try the ARCHs, mostly as a formality rather than a quest for improvement. What I heard made me realize how important isolation is at the beginning of setting up a system. These ARCHs have completely transformed the tonality and dynamics of all my recordings…in a good way. 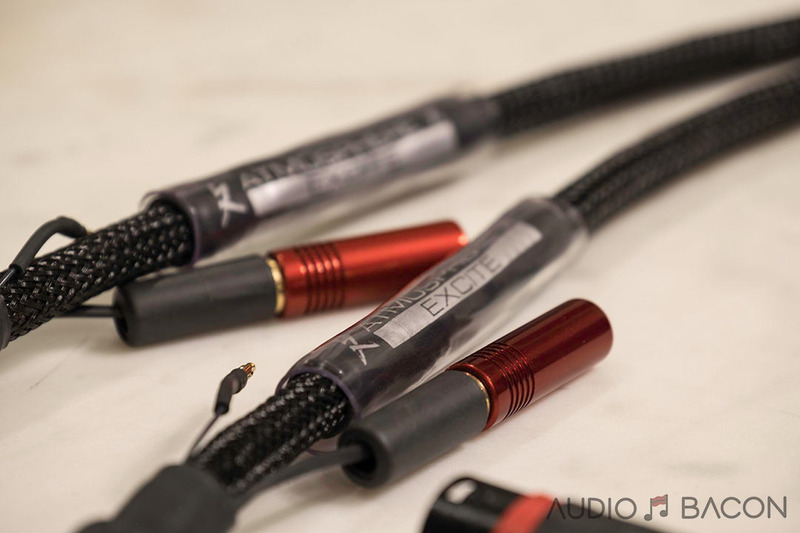 I wish I had them in earlier as it might’ve changed my decisions on a few interconnects and speaker cables. Isolators generally sound brighter with the lack of bass when they’re installed but they’re actually allowing you to hear your equipment in its purist form. With the ARCHs I was getting an enormous soundstage in all direction, clarity I didn’t realize I was missing, incredible separation/layering, and a much blacker background. I was taken aback at how simple yet effective these ARCHs were. I used the Lite-ARCHs on the Omega SUPER 3i monitors and the deepOMEGA 8 subwoofer. The results were instantaneous and obvious. The music opens up in limitless fashion and the bass tightens up beautifully. Guitar plucks have more tactility, piano notes have a more natural decay, and vocals have an eerie sense of realism. Resonances are much larger with lower frequencies but having the Lite-ARCHs on the subwoofer provided an amazing amount of control, detail, and authority. Further sonic improvements were gained by placing the Mini-ARCHs under my Chord DAVE, sMS-200, tX-USBultra, and BRIX media server. This is quite nice given the form-factor, ease of use, and price of the ARCHs. I was also able to tune my system using various amounts of Mini-ARCHs under my source equipment. This worked especially well for the SOtM sMS-200. Having 8 Mini-ARCHs was a tad bright while using 4 struck a perfect balance. Tuning your system with vibration isolators sounds ridiculous but I think adjustability makes these ARCHs quite attractive. At this point I wanted to try the Lite-ARCHs on the B&W 804 Diamond 2s. We’ve previously had them on the floor with some rubber feet, as spikes weren’t an option for the hardwood floors. 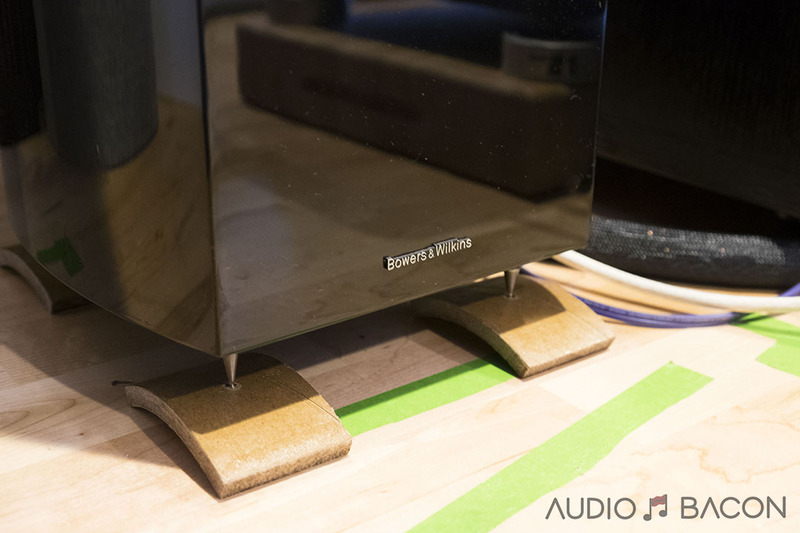 With the Lite-ARCHs there’s a notch for the spikes which adapts usage on hardwood floors without the need to place a small piece of carpet under your speaker. Very neat. Once again, we thought the system sounded superb without any additional isolation. 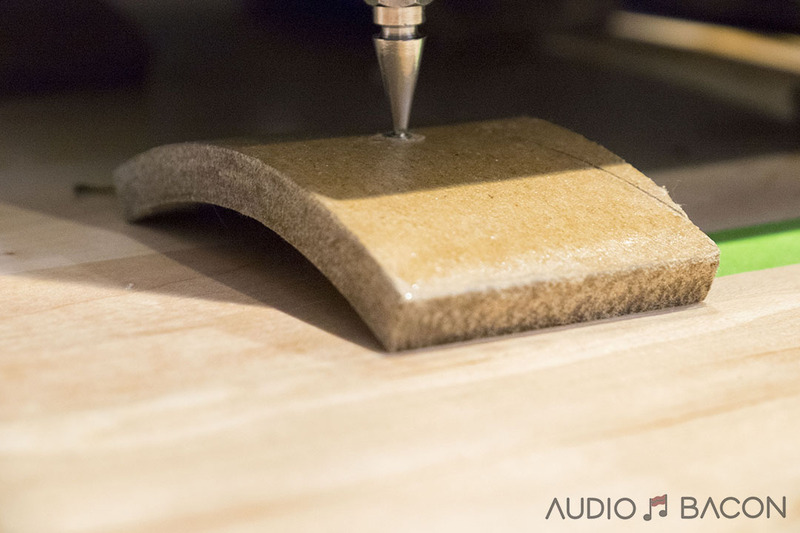 We’ve had a few solid maple blocks under our PS Audio preamp/amps and power conditioners. Once the ARCHs were in place, the soundstage expanded beyond what we thought was possible. Without the ARCHs, the recordings sounded a lot more congested, muffled, and closed-in. To ensure what we were hearing wasn’t due to just applying the spikes, we placed quarters under the spikes instead of the ARCHs. The results were just not the same and we weren’t sure if it even sounded better than the original rubber feet. With the ARCHs installed, it was a clear and positive improvement. Considering the level of effort/money we’ve taken over the months to improve soundstage and clarity, the ARCHs were a much simpler and cost-effective way to elevate the system to another level. Unexpectedly, using the ARCHs on top of our maple blocks for our amplifiers and source components yields even further sonic improvements. There was better resolution of micro-details and textural nuances had more presence. There’s also this welcoming sense of coherence. It’s interesting to note, if you’re planning to add a layer of veneer, paint, or re-coat the ARCHs, it will stiffen the ARCHs and produce a brighter and more dynamic sound. Using rubber coating like Flex-Seal will give it a smoother and less brighter sound. Albeit a bit contrived, I don’t know of any isolator of this kind that allows for this type of flexibility. We know most loudspeaker manufacturers use some kind of vibration control during their development process. Unfortunately, they don’t typically disclose what was used. It’s up to the consumer to implement an isolation system that works for them. The point is to have some kind of isolation in place and build from there. The beauty of the ARCHs is that you could get a base level of isolation while modulating the sound either by stacking, painting, or re-coating them. An anecdotal observation, but I do believe there’s a point where too much isolation might not sound great depending on your equipment. Resonance reduction is typically a last step for most but given the audible delta that some of these isolation devices provide, it may be better for you to isolate from the beginning, especially if you’re setting up a 2-channel system. Sometimes the degradation in the sound is fairly significant, you might need to re-audition your cables, amps, etc. for better matchability. In a way it is additive but my gut says it’ll save you some time if you take care of isolation early. No side-by-side comparison was needed to appreciate the improvement in the overall transparency, clarity, and expansive soundstage provided by the Gingko Audio ARCHs. There’s this focused image where you’re able to accurately localize all the actors in a recording while enjoying the overall improvement in musicality. I’ll explore other isolation systems at another time but for now, the ARCHs are an integral part of our reference system. From my experience with other vibration isolation products, the ARCH undoubtedly punches above its weight at this price. 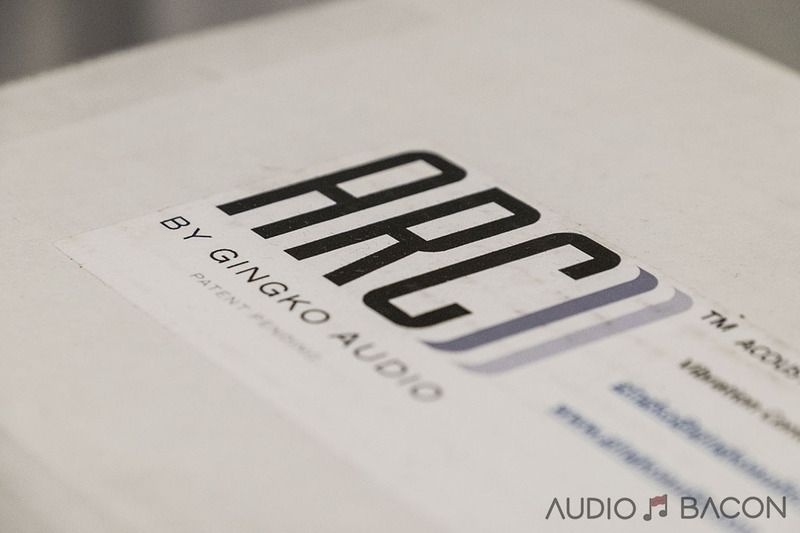 Even better, Gingko Audio offers a 30-day money back guarantee on all their ARCH products, as long as you cover shipping (they’re super light!). There’s literally no risk for trying out the ARCHs for yourself. For more information please check out their product page. And the price on these bad boys would be? There is no listing of price I can find on their website either. And yet another interesting find. Maybe I use these to give my self build Tuby speakers the final touch. You said the mini Arch is designed for use with electronic components. Are they plane on the top? Would Mojo fit on one Mini Arch? Another aspect got me thinking… Might be totally wrong, but here my train of thought. You said that too much isolation made the electronic components sound bright. When (a bunch of) mini Arch eliminates close to all outside vibrations, couldn’t it be possible that the vibrations from the components own electronics become more noticeable and maybe trapped? Plane on top? The link to Gingko Audio should show the differences. It’s difficult to gauge how much vibration was used when these devices were tested/voiced so the benefit of these ARCHs is to enable you to tune to your liking. It’s more of an art than a science IMO.